Our upcoming games; none of these are available yet. We'll announce when they are ready for ordering. Japan and the United States vie for the Pacific with the ships and planes planned and never built (or built too late to see action). 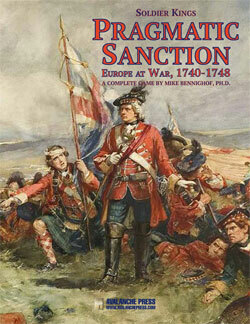 With 770 new pieces and 30 new scenarios. 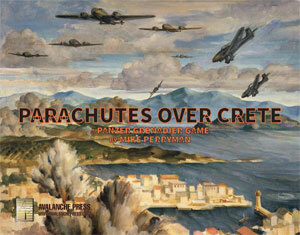 The 1941 German airborne invasion of Crete, with 40 new scenarios, 517 pieces and four maps. 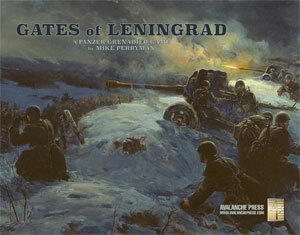 The 1941 German drive on Leningrad, with 33 new scenarios, 517 pieces and four maps. The War of the Austrian Succession, 1740-1748, using the same game engine as Soldier Kings. For two to eight players, with die-cut, silky-smooth playing pieces. Plus there are full-color play aids and “real” playing cards. What if Italy had remained true to the Central Powers, fighting alongside Germany and Austria-Hungary against Britain, France and Russia? This supplement studies the Triple Alliance war plan with 50 new pieces and 30 new scenarios - you only need Mediterranean Ultimate to play them all. The German Navy's commerce raids of 1939 through 1941 into the North Atlantic. American, British and French warships hunt the grossly outnumbered Germans, who do have the vast gray Atlantic in which to hide. 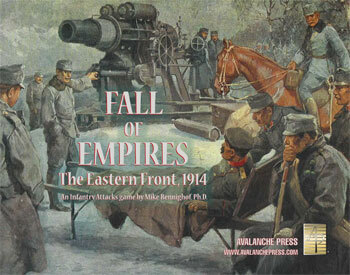 The first months of the Eastern Front in 1914, as Austro-Hungarian and Russian armies fight across southern Poland. Austria's Kaiserjäger, Bosniaken, Honvédség and Landwehr face Imperial Russia's Guards, Cossacks and hard-fighting regulars. Six maps, 781 pieces, 60 scenarios. 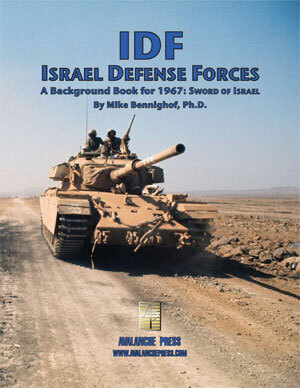 A book telling the story of the Six Day War and the armies that waged it, plus 264 die-cut, silky-smooth , silky-smooth pieces displaying the Israeli units from Sword of Israel in an alternative, blue-and-gold color scheme. 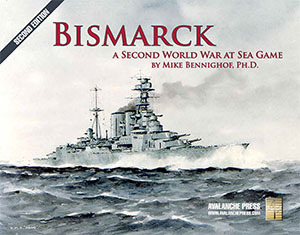 A unique supplement for Jutland, featuring 40 new scenarios and history and game-related analysis on all of the major (and most of the minor) operations in the North Sea. Twenty new scenarios for Broken Axis (and only for Broken Axis) focused on the German Army's elite Panzer Grenadier Division Grossdeutschland, with four "battle games" linking them together plus 88 die-cut, silky smooth playing pieces showing the Grossdeutschland Division in its own special livery. 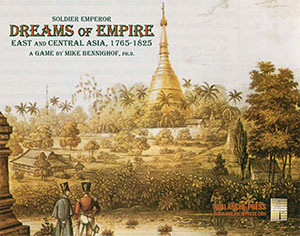 A complete game focused on Asia during the 18th and early 19th Centuries: Siam, Burma, Vietnam and China, plus Central Asia and Persia. 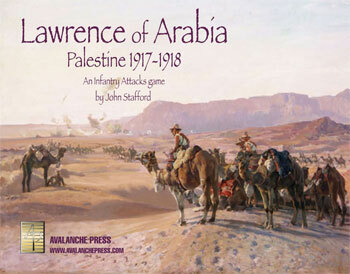 Can be played alone or together with Soldier Emperor and Indian Empires, includes linking map, pieces and rules. A book supplement, King of Kings adds new scenarios and several full campaign games to Fading Legions. Shapur II, Sassanid Persia's greatest ruler, takes on the Roman Emperor Constantius II, the Arabs. the Xionites and the Armenians. 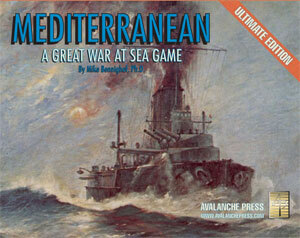 Naval war in the Mediterranean basin, 1911-1923. Over 100 scenarios to use the 560 pieces (half of them double-sized ship pieces) on the beautiful new map. 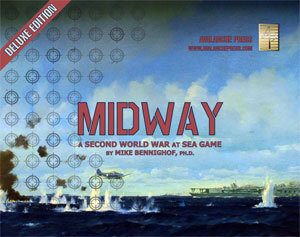 Plus full-color play aids and new Great War at Sea series rules. The Mediterranean Campaign of 1939 through 1943. With almost 1,000 silky-smooth, die-cut playing pieces, two 22x28-inch operational maps and over 75 scenarios in our “story arc” format. 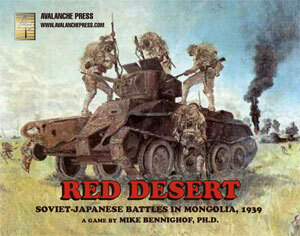 Japanese and Soviet tanks clash in the deserts of eastern Mongolia in the summer of 1939. With 420 pieces and one map. 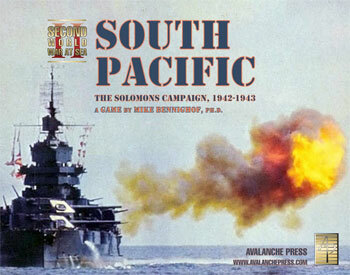 The climactic carrier battle of the Pacific War, with more than 50 scenarios, 700 playing pieces, a large operational map of Hawaiian waters and a special tactical map of Pearl Harbor. 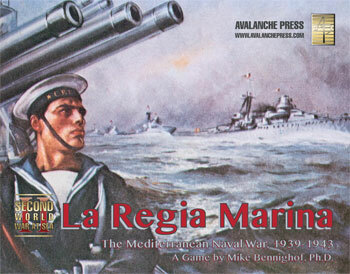 The Second Great War moves to Ottoman waters in this expansion for La Regia Marina focused on the Ottoman Navy and the Imperial Russian Black Sea Fleet. The Solomons Campaign of 1942 and 1943. Over 1,000 silky-smooth, die-cut playing pieces one 22x28-inch operational map, a special Tactical Map showing “Ironbottom Sound,” and over 60 scenarios, organized in our “story arc” format. Austria wages naval war against France, Italy and Britain in the Mediterranean Basin. 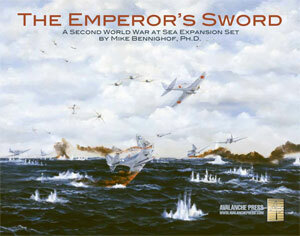 With 40 new scenarios and 180 playing pieces (100 "long" ship pieces and 80 square ones) adding the Imperial and Royal Austrian Navy plus additional ships and aircraft (including more aircraft-carrying zeppelins) for Italy, France, Britain and Montenegro. Naval war in the Mediterranean during the Age of the Ironclads, featuring the 1866 Austro-Italian War at sea, the naval side of the Risorgimento, the Cretan Uprising and many other potential conflicts. 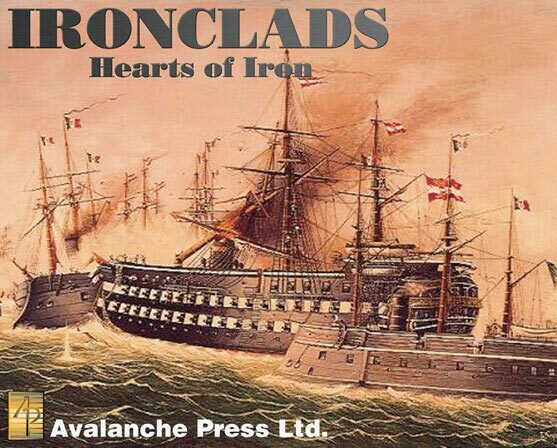 Austrian, Italian, French, British, American, Neapolitan, Piedmontese, Greek and Turkish ironclads on gorgeous pieces. Desert campaigns in Sinai and Palestine, from the Turkish attack on the Suez Canal in 1915 through the Fall of Damascus in October 1918. Ottoman Turks aided by Germand and Austro-Hungarians take on British, Indian, Jewish, Arab, Australian, New Zealand and West Indian forces. There's even a tank unit. Eight maps, 869 pieces, 60 scenarios. The 1941 and 1942 campaigns in front of Murmansk between the Germans and Soviets. In the summer of 1866, Prussian and Austrian armies decide the future of Germany at the Battle of Königgrätz. This is a huge game. Austria’s South Army crushed the Italian Army of the Mincio in the Second Battle of Custoza in northern Italy. How will they fare under your command?